Quick Links - click on the item you want to see (or scroll down below for further details and other news items). Click here for the Entry Form for the French Ladies Handicap Tournament 25th/26th May 2019 at Fontainebleau. Closing date for entries 29th April 2019. If you would like to know more about any of our sponsors, you can click on their logo below and their website will open in a new window. We are very grateful to Peter Luck-Hille who is very generously sponsoring the Ladies British Open this year, the first time he has sponsored an LRTA organised tournament. The Open has been an annual event since its inauguration in 1978 and Peter is keen to see well-established tournaments continue. 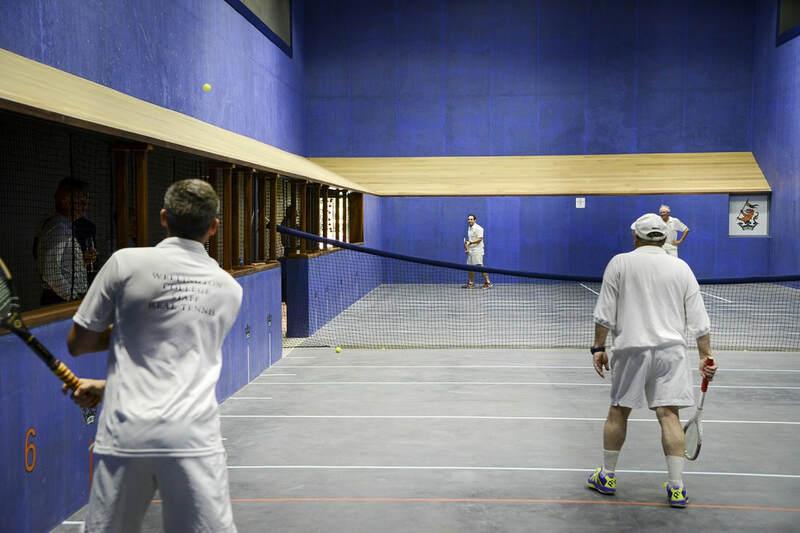 ​Peter always wanted to build a new court and this dream was realised in the shape of MURTC, Middlesex University Real Tennis Club. Construction started in 1998 at the Middlesex site: the first balls were hit on the court in October 1999 although the court was not officially opened till the next year. When Peter was asked, several years later, to contribute to the new court at Wellington he agreed, providing he was able to take charge of the design and building. This he did and today, thanks to Peter, Britain boasts two courts built to an exceptionally high standard, beautifully consistent – due in part to the minimum number of different materials used in construction - and wonderful to play on. This, for Peter, is the most important aspect of building a court: the initial cost is high but the maintenance is then low. Consequently, these two courts are made of reinforced concrete and will last for hundreds of years. “People come and go but courts are there forever”, he says. Peter is also a benefactor of the Dedanist Foundation, a charity which promotes tennis among juniors, providing coaching days and an inter-club tournament for young players, the Peter Luck-Hille Cup. The LRTA has had the same logo since its formation in 1981. It was designed by Les Ronaldson and has served us well for the intervening 37 years, but your committee decided it was time for an update. We were very lucky that Tiff Fielden from the Manchester Club, who runs her own advertising and design business (Platinum Advertising: www.platinumadvertising.co.uk) very generously gave her time and professional expertise to design the stunning new logo. We are very grateful to Tiff for all her work (and patience in producing all the different versions required). The new logo is already heading up pages on the website and will be rolled out across all communications and branding, eventually including a new range of clothing. It is with great sadness that we heard of the death of Deirdre on 17th December 2018. Deirdre won the British Ladies Handicap Div 2 Singles in 1990 and 1991 and the British Masters Plate in 1989. She was a very enthusiastic player and equally enjoyed the social side of tournaments and was always welcome as a member of any team. Deirdre died from the consequences of a cancerous melanoma on her back which spread. She was aware of the terminal nature of her illness and was able to be with her three daughters Sue, Abigail and Emma in the last week of her illness.​ Deirdre's daughter Emma has asked that if anyone wishes to contact her, she would be pleased to hear from them: dooleyemma@hotmail.com or 01273 272 667. A service will be held at 12.00 on Saturday 19th January 2019 at Woodvale North Crematorium, Bear Road, Brighton and afterwards at the Hilton Hotel. Deirdre was a very dear friend to many LRTA members and we shall miss her. The LRTA has won the Brigands Peripatetic Tournament for the three previous years. This year the baton was passed to Katie Leppard and Candida Nicholls to represent the LRTA. The box stage was very tight with the LRTA team winning only one more game than the others to earn their place in the knockout matches. After winning their semi-final with some carefully targeted shots and hard hitting rests, they were out-classed in the final by the Hurlingham Pigeons pair and had to relinquish the silverware this year. "Like so many others who have played and thoroughly enjoyed real tennis, it did not take much for Juliette Tomlinson to convince me to provide a little financial support for the LRTA under 21 tournament. After 25 years of playing real tennis, I am delighted to be able to give a little back to this wonderful game, from which I have drawn much fun, made many friends and woken up the morning after playing with more stiff muscles than I knew my body had! I wish the LRTA and all who participate in the LRTA under 21 tournament over the next three years the very best of luck, fun and friendship. For those who are interested, a little about the company I run: Beard is an award-winning, £140 million turnover construction company which operates across the South of England and this year we are delighted to be celebrating 125 years in business. 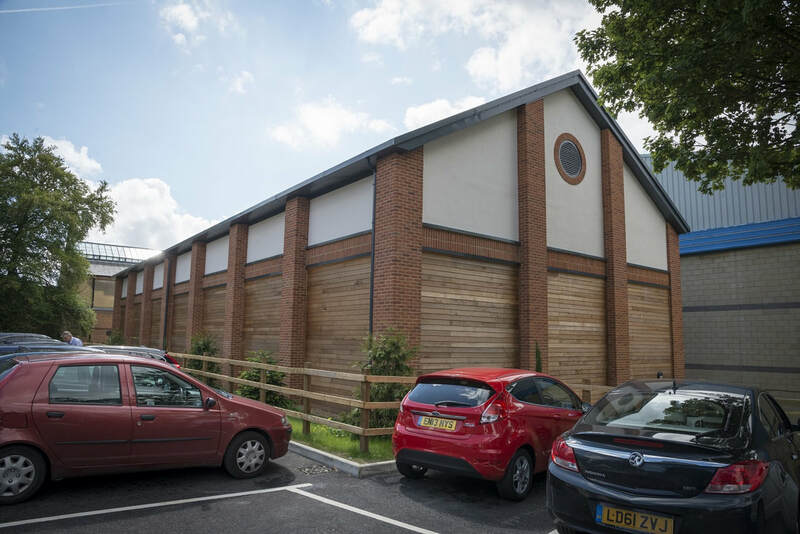 With offices in Oxford, Swindon, Bristol and Guildford, the company undertakes design and build, new build, restoration and refurbishment on a range of projects, including complex projects, up to £16 million in value. Established in 1892, the family-owned company has significant expertise in building for the healthcare, arts and culture, commerce and industry, education, ecclesiastical, elderly care, sports and leisure and defence sectors. 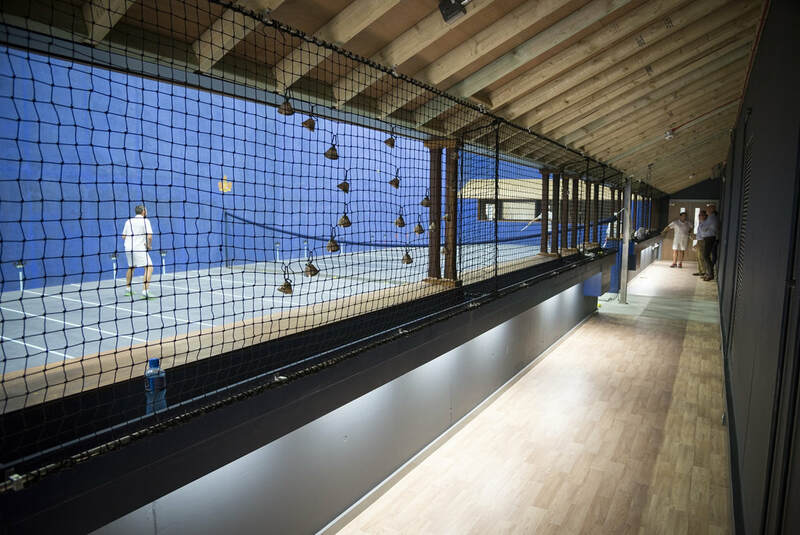 Recent projects have included the construction of the new real tennis courts at Radley College and Wellington College along with the recently completed Nazrin Shah Building for Worcester College, which has just won an Oxford Preservation Trust Award in the new building category." The Tennis and Rackets Association (T&RA) now has charitable status so all members over the age of 21 are invited to complete and return a Gift Aid form. This will permit the T&RA to reclaim additional income from your membership subscription; in turn helping them to further promote and support Tennis and Rackets. An important advantage to you is that, if you are a higher-rate tax payer, you will be able to claim additional tax-relief. If you haven't already completed a Gift Aid form for the T&RA, you can click here to download the form which can be signed and returned to the T&RA office or scanned and emailed back to membership@tennisandrackets.com.